Is cow’s milk only good for calves? There’s been controversy for a while now in nutrition circles, with some saying dairy is unnecessary in the human diet and others saying that while commercial pasteurized milk and milk products may be associated with health problems, raw dairy is altogether different in its effects on the body and is actually a valuable food. Cow's milk is for calves, right? Are humans the only mammals to drink the milk of another species? Could be... but I'm pretty sure we're also the only mammals who use the internet. Your point? Here’s an excellent summary of the case for milk and specifically, the case for raw milk, as part of a healthy diet. This article is written by Karen Railey B.S., CNC. It was originally found by Audrey, and circulated by Beverley. Audrey found it in “Chet’s Day” health news letter. Karen Railey, who wrote this piece, is also the author of the how-to guide “How to improve fading memory and thinking skills with Nutrition“. Milk does a body good! Got milk? For most of us these are familiar slogans. Does milk really do a body good? Is it as healthy as it is presented in television commercials and magazine ads? As we will see, that depends on whether it is consumed in the form in which God provided it for us, or if it is consumed in the adulterated, denatured, toxic form that commercial dairy has become. Dairy products have been consumed for thousands of years and are mentioned in the Bible as beneficial food. Biblical people consumed it in its raw form as it has been by many cultures since. In those days, there was no refrigeration so milk was consumed fresh, made into butter, or cultured into products similar to cheese, cottage cheese, kefir, and yogurt. Milk is mentioned in the Bible in several places as a good thing: Abraham gave milk to visiting angels. Genesis 18:8 – And he took butter, and milk, and the calf which he had dressed, and set it before them; and he stood by them under the tree and they did eat. Clean raw milk from grass-fed, pastured cattle is a healthful product that was used by Galen, Hippocrates, Pliny, Varro, Marcellus, and other notable physicians of that day to promote and restore the health of their patients. In the early 1900’s J.R. Crewe, MD and others at the Mayo Foundation (now the Mayo Clinic) used raw milk to affect cures for a variety of conditions and diseases. Dr. Crewe saw remarkable results when raw milk was used for treatment of tuberculosis, nervous system disorders, conditions of the heart and kidneys, hypertension, psoriasis, gastritis, chronic fatigue, obesity, and more. All conditions responded equally well to this treatment. Historically, a variety of traditional cultures have thrived on raw milk and its products. History also shows us that when people start drinking pasteurized milk, they begin to experience health problems. This has been true in the US as well. Dr. James F. Murphy, D.O. of Omaha, NE prescribes raw milk in the treatment of his patients and has seen remarkable results during 15 years of clinical practice. This along with a diet rich in whole foods sets his patients on the path to wellness. Nutritionist Donna Gates has been using raw butter, raw milk, raw kefir, and raw colostrum with her clients and has found no problems with raw-milk-related illnesses. She has reported excellent improvement in the health of her clients, including autistic children. Dr. Joseph Mercola, D.O., Jordan Rubin, NMD, PhD, Tom Cowan, MD, and many other health professionals recommend raw milk in general and in their treatment plans. They all testify to the benefits and health promoting qualities of raw milk as evidenced by the improved health of their patients. On a personal level, consuming fresh, clean raw milk from pastured cows along with a healthful diet has helped my health problems immensely and I have had no problems with raw-milk-related infections. Improvements in my chronic fatigue, immune dysfunction, and digestive problems have been remarkable. I have seen others improve after beginning consumption of raw milk, as well. Pasteurized, homogenized milk is not a promoter of life and growth, but is associated with many conditions and diseases. These include: excess mucus production, allergies, anemia, skin rashes, osteoporosis, rheumatoid arthritis, type 1 diabetes, digestive problems, heart disease, kidney disease, multiple sclerosis, cancer, recurrent ear infections in children, behavioral problems, autism, mood swings, depression, and irritability. Pasteurized, homogenized milk qualifies as an adulterated food according to the Federal Food, Drug, and Cosmetic Act, as amended by the FDA Modernization Act of 1997 (revised 1/20/99). This defines any food as adulterated if: (1) any valuable constituent has been in whole or in part omitted or abstracted therefrom; or (2) if any substance has been substituted wholly or in part therefore; or (3) if damage or inferiority has been concealed in any manner. In raw milk all the enzymes that occur naturally in milk are intact. These enzymes facilitate the digestion and utilization by the body of the nutrients, proteins, sugars, and fats contained in the milk. Pasteurized milk contains less than 10% of the original enzymes causing the milk to be largely indigestible. Consuming this milk places an enormous strain on the digestive system. Raw milk contains 22 amino acids, including 8 that are essential. Because they are in a whole, unaltered state, they are completely bio-available for use by our bodies. Pasteurized milk provides very limited metabolic availability of the protein complex due to the adulteration of the amino acids, which is caused by the heat used in the pasteurization process. An ample supply of each amino acid is necessary for these proteins to be used properly by the body. If even one is missing or damaged, the rest cannot function properly. Raw milk contains unaltered fats that provide valuable fat-soluble vitamins and essential fatty acids, which are all completely metabolically available. The fats and the nutrients within them are necessary for absorption of the protein and calcium in the milk. Pasteurized milk does contain some fatty acids, however, depending on temperatures used in pasteurization, they may be drastically altered. Also, due to the lack of the enzyme lipase, which is necessary for the digestion of these fats, they cannot be properly metabolized. This will also impact the body’s ability to absorb or utilize other nutrients. The homogenization process also alters the fats, making them indigestible and virtually unusable by the body. There is evidence that this practice produces substances, in the milk that cause damage to heart and arterial membranes. When consuming raw milk, the lactose is absorbed slowly into the bloodstream. Tests indicate that once pasteurized, the carbohydrates in the milk are less bio-available. Pasteurized milk has been associated with blood sugar imbalances. Raw milk contains all of its innate fat and water-soluble vitamins and they are metabolically available to our bodies for health and growth. Heating at high temperatures for pasteurization results in the loss and/or adulteration of vitamins A, D, and E. Up to 60% of these fat-soluble vitamins are lost. Vitamin C loss is upwards of 50%. Vitamins B6 and B12 are completely destroyed and destruction of other water-soluble vitamins ranges from 38% to 80%. Synthetic vitamin D is added to most commercial pasteurized milk, further unbalancing the nutrient profile. The synthetic form of this vitamin promotes the calcification of soft tissues and softening of hard tissues such as bone. All minerals are 100% available in raw milk and have a synergistic effect in the body. These include calcium, magnesium, phosphorus, potassium, sodium, and sulfur, as well as essential trace minerals. The heat used in pasteurization decreases calcium availability by 50% or more and other minerals are adulterated as well. Due to this adulteration and the loss of enzymes, the minerals that are left cannot be effectively metabolized. Raw milk contains beneficial bacteria, which is advantageous for the digestive tract and the immune system. The beneficial bacteria will inhibit the growth of pathogenic bacteria in the milk itself. Recent research has proven that pathogenic bacteria placed in raw milk could not thrive. Raw milk will sour and is still usable in that state. Pasteurized milk contains no beneficial bacteria as the pasteurization process kills all of it. If this milk is contaminated, pathogens will proliferate. After pasteurization, milk doesn’t sour naturally, but will become rancid and rot. Raw milk contains a cortisone-like factor in the cream, which aids in combating allergies. Pasteurized milk has lost this constituent due to the heat used in pasteurization. (Thomas Cowan, MD, Michigan State Medical School). Ultra-pasteurization, a process during which milk is held at above boiling temperatures (285? ), is now becoming a common practice and the affect of this on the milk is even more devastating than pasteurization. UP milk is so dead that yogurt cannot even be made from it! UP milk will not contain even the insignificant nutrition found in regular pasteurized milk and will be much more difficult for our bodies to deal with. Powdered skim milk is added to pasteurized 1% and 2% milk. It is high in nitrates, a potent carcinogen and is a source of oxidized cholesterol, which promotes heart disease. Powdered skim milk also contains altered neurotoxic proteins, which can affect the brain and nervous system. Vegetable oils that have been associated with diseases such as arteriosclerosis, heart disease, and multiple sclerosis are now being added to commercial, pasteurized milk products. Remember the beef cattle raised commercially and those raised as pastured animals? Commercially raised milk cattle suffer a similar fate as their beef counterparts. They spend their whole lives inside, on concrete, living in a stall that is 5 feet by 6 feet in size. They are fed grains tainted with pesticides and other unsavory items that they were not created to consume. Consequently, these are sick animals requiring many drugs to keep them alive and given growth hormones to enhance their milk production. A commercial milk cow raised in confinement will often live and average of less than 4 years. A cow raised on pasture can live easily for 12-15 years. We know these medications and growth hormones adversely effect the cattle and that they are found in the milk that many of us drink. What effects do they have on us? Penicillin G is widely used and is the most allergenic drug known. It and its derivatives are relatively resistant to heat and have been found in pasteurized milk products. Sulfonamides are used to treat infections in milk cows. These remain active even after prolonged heating. Some of these are believed to be carcinogenic and one, sulfamethazine, was banned because of its inherent carcinogenicity. These have been found in pasteurized dairy in amounts eight times higher than the maximum allowable levels. Two other drugs given to confinement dairy cattle, chloramphenicol and ivermectin (used for parasites) have been associated with aplastic anemia, an irreversible and potentially fatal bone marrow disease, as well as various neurological disorders. The long-term use of antibiotics and our subsequent exposure to them on many fronts has resulted in the development of new antibiotic-resistant bacteria. The pasteurized milk that caused the Midwest Salmonella outbreak in the 1980’s contained a rare strain of Salmonella that was resistant to fourteen different antibiotics, including eight that are commonly found in commercial milk. What effects does the synthetic rBGH (recombinant bovine growth hormone) have? 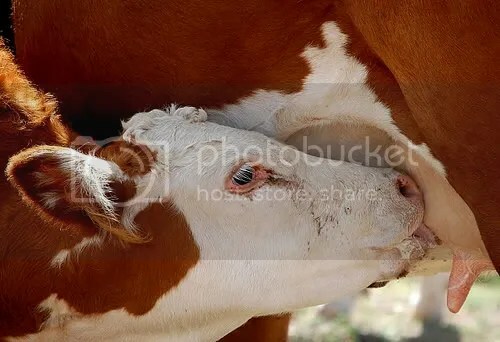 For the cattle it causes abnormally high milk production, which promotes mastitis in the cattle and leads to high levels of white blood cells, otherwise known as pus, in their milk. Some of these animals have great difficulty moving or walking due to the great size of their engorged udders. As a result of the commercial practice of administering rBGH to the cattle, milk contains excesses of IGF1 (insulin-like growth factor), which is associated with cancer, particularly cancers of the breast, prostate, and gastrointestinal tract. IGF1 not only promotes cancer, but also intensifies progression and invasiveness of existing cancer. Bovine growth hormone also reduces the body fat of cattle. This is unfortunate for us because the contaminants that typically stores in the body fat, carcinogens, pesticides, dioxin, and antibiotics are then transported in greater quantities into the cow’s milk. The practice of administering rBGH to cattle has been banned in Canada based on nine years of studies involving the hormones’ negative affects on animal and human safety. For the same reasons, the use of the hormone is also banned in England, Australia, France, Austria, Belgium, Denmark, Finland, Germany, Greece, Ireland, Italy, Luxembourg, Netherlands, Portugal, Spain, Sweden, and New Zealand. This practice is FDA approved, so is allowed in the US and there are no labeling requirements in place for milk from cattle that have been given rBGH. You won’t know if you are drinking milk containing this hormone or not if you choose to consume commercial milk. Because of the poor conditions commercial milk cattle live in, their poor diet, and the overload of drugs they are given, they tend to develop Johnes’ disease, which has been linked to the development of Crohn’s disease in humans. Crohn’s disease is a serious condition involving inflammation, swelling, and ulceration of the intestinal tract. Johnes’ pathogens do survive the pasteurization process and are found in the milk of infected cattle. There are further issues with milk. We again have a case where organic is not enough. To raise cattle and provide organic grains, soy, and cotton seed meal still provides a poor product. As we learned earlier, cows were created to eat primarily grass and greens to be healthy and provide healthy meat. The same goes for the milk. This brings us to another area of great concern. When cattle are fed grains, particularly corn, that are moldy the milk will contain dangerous aflatoxins. Grain feeds often do become moldy and the most recent evidence indicates that pasteurization, sterilization, fermentation, freezing, concentrating, or drying, will not affect the toxicity or carcinogenicity of aflatoxins. There is a great deal of uneasiness surrounding human exposure to these toxic molds and it is based on well-documented animal feeding trials. Long term exposure to aflatoxins in feed repeatedly leads to liver cancer, liver lesions, and kidney damage. Another consideration: Even if organic milk is from grass-fed, pastured cows, then pasteurized or ultra-pasteurized, it will not be a healthful product as revealed by the comparisons above. Considering the issue of aflatoxins, the residues of antibiotics, growth hormones, and pesticides, the adulteration of milk through pasteurization and homogenization, and other issues, pasteurized milk, commercial or even organic, is something better left alone and not consumed. This can’t be milk the way God gave it to us or the way he intended for us to consume it. This becomes obvious when we grasp the fact that it will harm the temples, which he has entrusted us with. This may still be a question in your mind and there is much controversy surrounding raw milk and its safety. Many do not have the full story so parrot warnings concerning it, which have no biblical, historical, or true scientific basis. Many people are concerned about drinking raw milk because of the negative ideas that have been proliferated by the FDA, Milk Advisory Board, and so on. Remember the pastured cattle that are free to roam in the sunshine, eat grass, and are happy, healthy, and unstressed? This is the kind of animal good raw milk will come from. It is clear that healthy cows, proper farm hygiene, grass-based feed, and non-toxic farming practices provide good quality, safe raw milk. Good, clean raw milk is a God-given, healthful, and healing food for us. Mark McAfee of California owns Organic Pastures, which is a raw milk dairy. People have been drinking his raw milk for years and he has sold many thousands of gallons over these years, with no ill effects reported. Mark went so far as to take a sample of his raw milk and a sample of commercial pasteurized milk to an independent lab in Fresno, CA and request that the disease pathogens Salmonella, Listeria, and E. coli be added to both samples. It was then to be determined if the pathogens would grow in either sample. The results tell the story loud and clear. The raw milk would not support the growth of the pathogens and they all died off. Raw milk has constituents, including enzymes that guard against the growth of disease organisms. It was found that the disease pathogens proliferated in the pasteurized milk and it indeed became a very dangerous and unhealthful thing to drink. California statistics concerning outbreaks of food borne illness and milk clearly show that there have been no outbreaks of disease associated with raw milk. Ironically, pasteurized milk and pasteurized milk products or other contaminated foods have caused the outbreaks of Listeria, Salmonella, Campylobacter, and E. coli in that state. There have been quite a number of occasions in various states where pasteurized milk was responsible for outbreaks of milk-born illness. One that comes to mind is the Salmonella outbreak that took place in the Midwest in 1985. 200,000 people became ill and 18 deaths were reported. In states where raw milk was proven responsible for illness, which has been rare, the people providing the milk were not using appropriate feed, proper procedures, or practicing the required cleanliness, which made the milk unsafe. Considering this, milk from undesirable sources or milk intended for commercial sale and pasteurization should never be consumed raw. These are poor products even in the raw state, but this should not be the basis to include all raw milk in an unsafe category and that is what has been done by those opposing its’ consumption. There is much more that could be said in comparing the two, but I think this will give you and idea of the vast difference and makes it obvious that pasteurized milk is not a nutritious food and fits very well into the FDA’s definition of an adulterated food. God gave us milk in a superior, whole, health-promoting form that is easily metabolized by our bodies. We should eat it as close to that form as possible. Whenever man intervenes and tries to improve upon and oppose what God has made, he fails miserably. The practice of pasteurizing and homogenizing milk from cattle fed and raised in a manner contrary to their God-given physiology and nature is but one example of this. The Bible, history and real science supports these conclusions. It is not always easy to find raw milk and if you determine this is the case for you, it would be better that you consume no milk at all than to consume commercial milk or even organic, pasteurized milk. Kefir means “feel good” in Turkish. Kefir is an ancient food that is made by culturing milk of various kinds including cow, goat, sheep, coconut, or rice. Kefir has a refreshing, slightly sour effervescent quality and is easily digested. Even those with dairy sensitivities can usually drink it because the kefir grains, which are used in the fermentation process, consume the lactose. Kefir contains many beneficial probiotic bacteria and yeast, vitamins, minerals, and complete proteins, and provides many excellent health benefits. The amino acids (proteins) in kefir are partially digested so are very easily assimilated by the body. Kefir is a balanced and nourishing food that provides benefits for people with any type of a condition. It contributes to proper immune system function and has been successfully used in helping those with AIDS, chronic fatigue syndrome, herpes, candida-related imbalances, and cancer. With regular use kefir balances the digestive system and can assist in relieving all intestinal disorders, promotes regularity, and reduces flatulence. Having a tranquilizing effect on the nervous system it is of great benefit for those suffering from sleeping disorders, depression, autism, and ADHD. Kefir is rich in B vitamins so will help to regulate the kidneys, boost energy, relieve skin disorders, and promote longevity. Because kefir has such a nourishing and balancing effect on the whole body, it can help to eliminate undesirable food cravings. Yogurt is also a cultured milk product and it is healthful, but does not have as profound effect on health and well being as kefir does. The bacteria used in making yogurt are different and will provide food for the friendly bacteria in our digestive system, but kefir can actually colonize our digestive tract with probiotics. Kefir is easier to digest because its curd size is smaller than that of yogurt. Kefir has more nutritive value and will actually assist in the digestion of foods that are consumed. The best kefir or yogurt will be made using good, clean raw milk. Cheeses that are produced from raw milk, containing all of its inherent enzymes, will be more easily digested than those made from pasteurized milk. They will also contain more bio-available nutrients just as raw milk does. Not all cheese that states “raw” on the label is truly raw. Though making cheese does require some heating, it can be done at very low temperatures that will preserve the nutritional integrity of the product. Some companies heat the milk for their cheese products to just below the pasteurization temperature, which is very destructive to the milk. They are then allowed, legally, to present the cheese as “raw” because the milk was never brought all the way up to the pasteurization temperature. This is not, in reality, raw cheese. European cheeses are raw if the label says “milk” or “fresh milk”. Emulsifiers, extenders, phosphates, and hydrogenated oils are added to processed cheeses, so these should be completely avoided. Whey is a by-product of cheese making that was used as a therapeutic beverage for human nutrition in ancient Greece. Hippocrates prescribed fresh whey for many ailments and during the Middle Ages it was recommended by many doctors for a variety of diseases. As late as the 1940’s whey was used in Central Europe for dyspepsia, uremia, arthritis, gout, liver disease, anemia and tuberculosis. Whey can also be used to culture vegetables or fruits and to produce a variety of other healthful fermented foods and beverages. Read the story that goes with the picture of the cows being milked. Here’s a link to the original version of this story on Chet’s Day. I found your site very interesting and alot of good information on it. Great job . Stop by and see mine it has of information on it about herbs, essential oils, alternative medicine. The China Study verifies that the consumption of milk causes disease, but specifically states that this is the commercially available pasteurized/homogenized version of milk, NOT the raw version. It goes on to verify that milk consumed in it’s raw form actually benefits the consumer, which is exactly what this article was stating. Either you didn’t read the China diet thoroughly, or you didn’t read this article thoroughly. How ’bout posting a link to the China study you refer to. I’ve read ‘The China Study’. Everyone needs to read it. Then they need to tell everyone else to read it. It is heavily referenced evidence based science into what the ‘common’ diet is doing to our bodies. ‘Common’ being a diet containing high-fat, high-sugar, high-meat (red, white, yellow, pink, whatever…) and high-dairy. I don’t expect anyone to just spend $$$ on a book they don’t know much about but PLEASE research it and read reviews, you will understand why you need to READ IT! Pingback: Is It Natural To Drink Cow's Milk?